The OM Shoppe: Do You Know How Sound Healing Works? Do You Know How Sound Healing Works? Sound has long been recognized as an environmental element that can strongly influence the quality of life a space supports. Certain sounds like cooing, singing, or running water are natural and indicate safety and nature, whereas other sounds like slamming, cursing, or banging may find association with danger and uncertainty. Psychological studies have found that excessive sound can be stress inducing, as in the case of individuals living near highways, airports, or construction sites. At the same time, sound has been used as a tool for healing for thousands of years across many different cultures and civilizations. In order to understand how sound healing works, it is necessary to first understand what sound is. 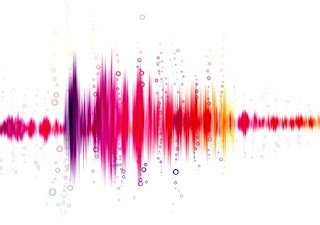 Sound is a moving vibration of pressure through a medium such as air or water. Moving sound vibrations begin propagating whenever an object vibrates, in doing so upsetting neighboring air molecules with a ripple-like effect. When a drum is beaten, the tight skin vibrates at a very high speed, forcing the air all around it to vibrate as well. As the air moves, it carries energy out from the drum in all directions. When the disturbance in air pressure reaches the ear, it causes the inner ear to pick up on those vibrations themselves, matching those vibrations. This process is called transduction and involves the brain translating raw sound wave energy into coherent messages. All objects are technically vibrating and therefore constantly producing tiny ripples in medium pressure. It is only when an object is disturbed in a forceful enough way that the vibrations that object produces will carry enough energy in order to breach the sound threshold, in the same way that only when a drum is played will it make noise. The more forceful the disturbance of an object, the more the medium will be displaced and the louder the sound. Sound moves easily through gases and liquids, however vibrating waves have been known to dislodge the integrity of solid matter. The potential for sound to influence solid matter is the basis for sound healing treatments. Sound wave vibrations, when powerful enough, break up rigid matter. When stress and tension go untreated, they manifest as tight blocks which prevent energy from flowing freely in those areas. Sound healers use various instruments to penetrate deep tissues with vibratory waves of sound. A variety of instruments are used as specific organs and body systems resonate particularly well with specific sound vibrations. At The Om Shoppe & Spa we want to highlight a few products and services which correspond to all sound healing needs! We carry a variety of crystal singing bowls, sound tools used in metaphysical healing. Each bowl plays a specific note which corresponds to a particular chakra. When a bowl is played, the sound waves from the bowl penetrate the tissues and organs associated with the matching chakra region. We off a Sound Wave Attunement treatment for one or two people! This sound treatment involves the playing of various instruments, including a full musical set of crystal singing bowls. This treatment focuses on deep relaxation! We also carry unique bronze tingshas, which produces the perfect sound for alertness and focus, perfect from rousing yourself from a meditation. Stop by The Om Shoppe & Spa and discover the soothing effect our crystal singing bowls will have!